Dave and I have a standing bet when we get back from vacation. Who has more emails sitting in our inbox and how many days will it take for each of us to go from feeling completely relaxed to stressed out and tired? This time, we were really lucky. For two weeks, we were able to disconnect from work, which in today’s day and age is a luxury. But I did find by the end of the second day back in the office, I was thinking about work after hours, feeling tired again and feeling my stress levels rise. In order to be successful and happy in today’s business world, we need to learn how to be a thermostat, not a thermometer. Last fall, I had the pleasure of attending Queen’s Leadership Course. One of the instructors was Peter Jensen who has made a name for himself coaching business people and Olympic athletes on how to manage stress to achieve high performance. In his book, “Thriving in a 24-7 World”, Peter says we have to be thermostats not thermometers. What does this mean? Using the analogy of stress instead of the weather, a thermometer merely reacts to the stressors going on around it, dipping to severe lows or spiking high when things get heated. 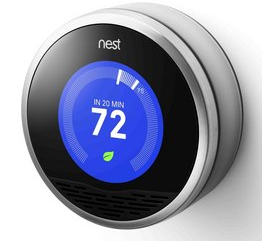 A thermostat sets an ideal setting, based on the conditions it finds itself in, and is able to regulate and manage stress, and further, harness it to achieve high performance. Let’s take the case of the Olympic athlete since Rio is only days away. There are times when athletes need to increase their stress and performance levels—the days when they are slugging through endless hours of training. This can be a challenge, but the even greater challenge is during competition. Olympic athletes face incredible pressure and stress. They need to find ways to regulate that stress and channel it into their performance. Centring or breathing. Try inhaling, breathing in deeply through your nose then exhaling deeply, focusing on your diaphragm, then on your shoulders and upper body. Never multi-task. Studies show people are not as productive when they multi-task. Focus on one key task at a time. Learn different techniques to let it go. Challenge negative thinking. Try to reframe the conversation or your thinking into what opportunities are available. Take a break, get sleep, go for a walk. All of these things will help you focus. Try something new or different—it may just be what you need to create positive energy. Remind yourself of your purpose or meaning. The final word: Remember stress can be a positive. It can help you harness energy to achieve performance. The key is to recognize your stress levels, and set your own thermostat to help your body prepare for the challenge ahead. This week’s #HappyAct is to be a thermostat, not a thermometer. And for those of you curious who won the bet—I had over 500 emails in two weeks (but a lot of mine are social media notifications, media alerts and newsletters) and Dave had 64.